I won't even say how many times I've been back here. I can't help it. It's fantastically wonderful! This time it was to celebrate a very important milestone for two of my very good friends who feel the same way I do about Paris. 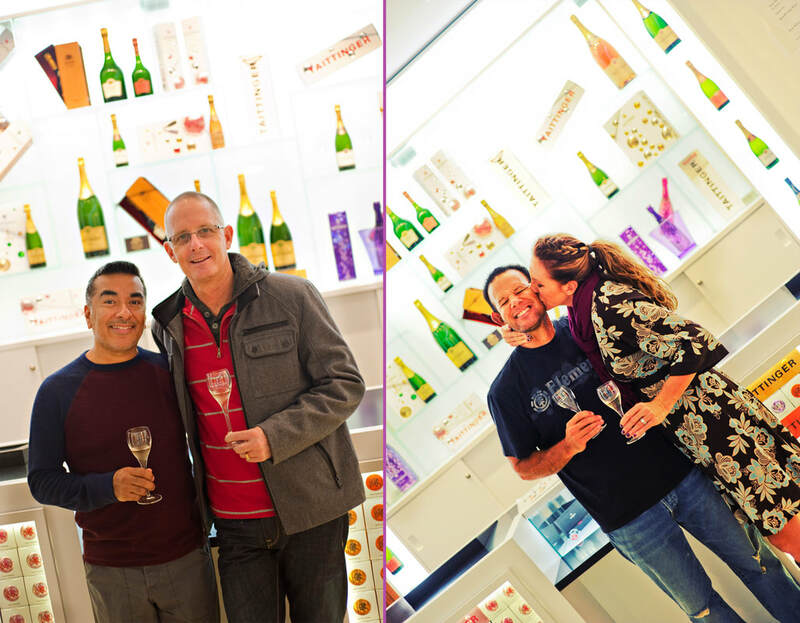 My buddies Scott and Milo were both turning 50 and we couldn't think of a better excuse to be in Paris than to celebrate their birthdays in our favorite city. We found the perfect apartment in the perfect neighborhood through VRBO. 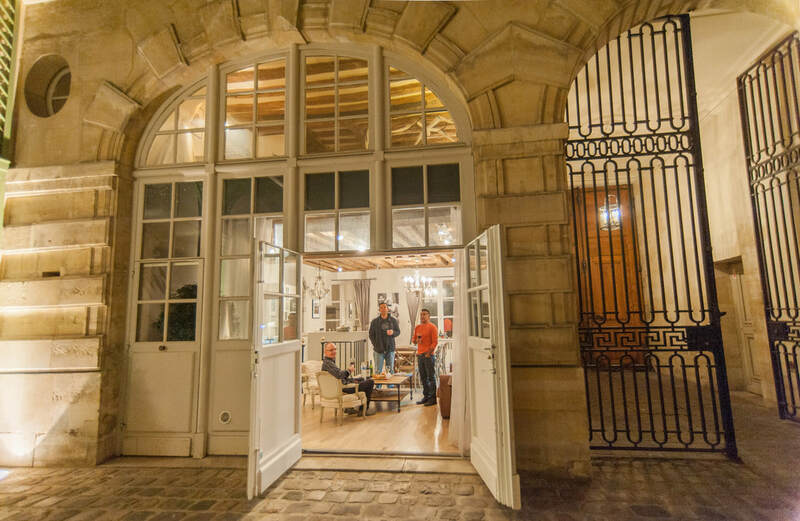 Never again will I stay in a hotel in Paris when you can stay in a beautiful 17th-century carriage house in the heart of the Marais. What made this trip even better was that I had a friend who is literally commuting from Paris to San Diego for work and it happened to be perfect timing. Justin was going to be in Paris the same time we were. Even better, their apartment was a 5-minute walk from where we were staying. 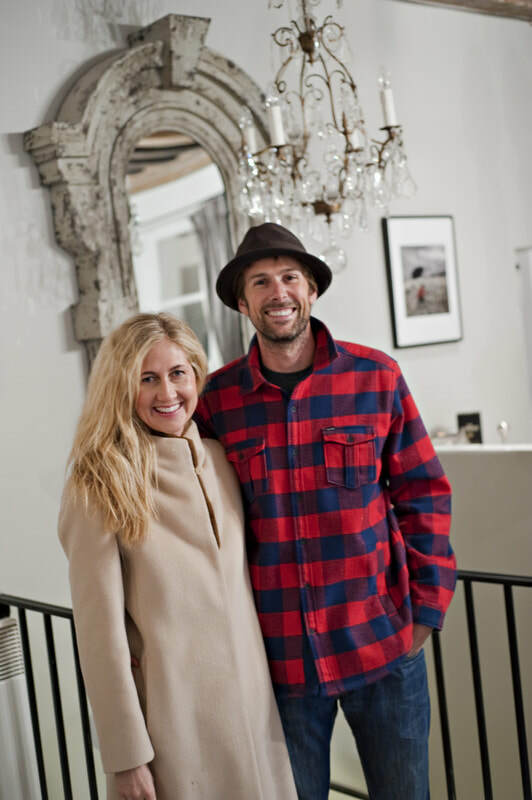 Justin and Casey Chianti (of Travel Proper) sold all their worldly possessions last year to fulfill a dream of living in Paris while Casey builds her career of becoming a writer. 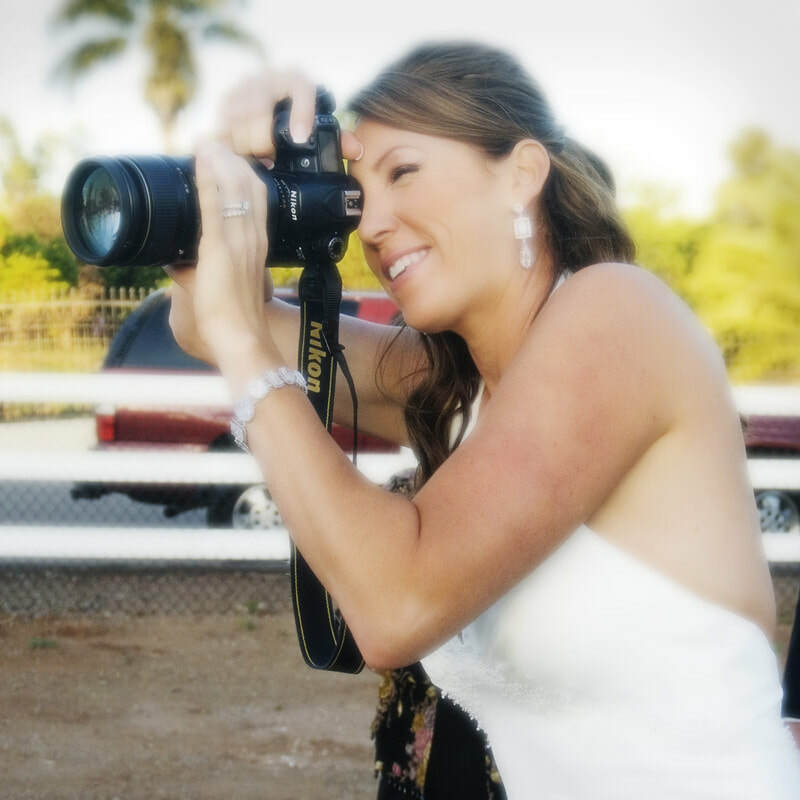 This was the perfect move for the two of them and I will admit that they are living my fantasy life. 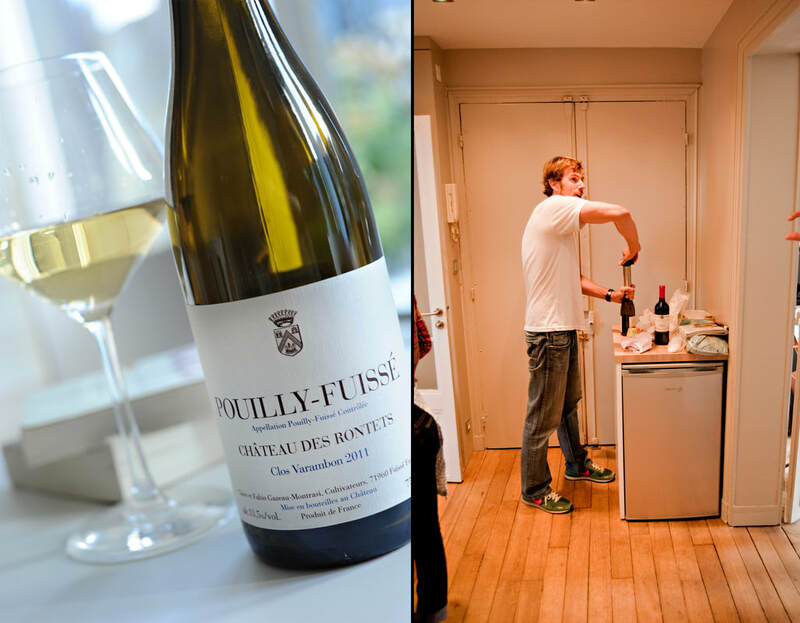 ​Our first night was spent catching up with Justin and Casey at our new fantasy apartment, drinking amazing French wines and champagne while discussing our future adventures in eating, drinking and exploring. 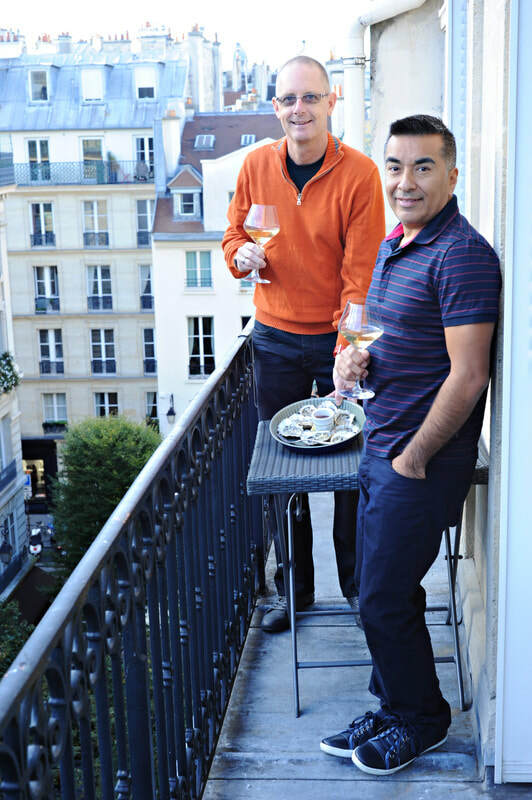 ​One of Scott's objectives was to splurge on the "Exquisite food and wine" while in Paris and go out to dinner at a different restaurant every night. He spent countless hours researching the perfect restaurants and finally got it down to his top 10. All (except one for me) were off the charts wonderful. 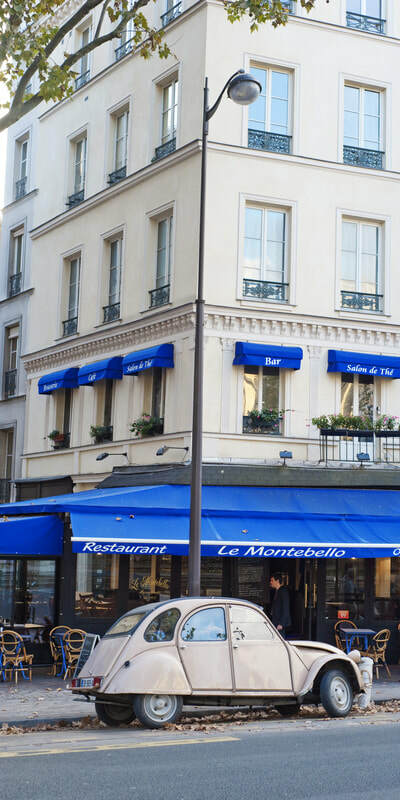 None of which were on the crowded sidewalks of busy "tourist" streets and all perfectly authentic and exactly what we had hoped for in Parisian dining. Great job Scott and thank you. Le Colimacon was our first night's restaurant. A+! 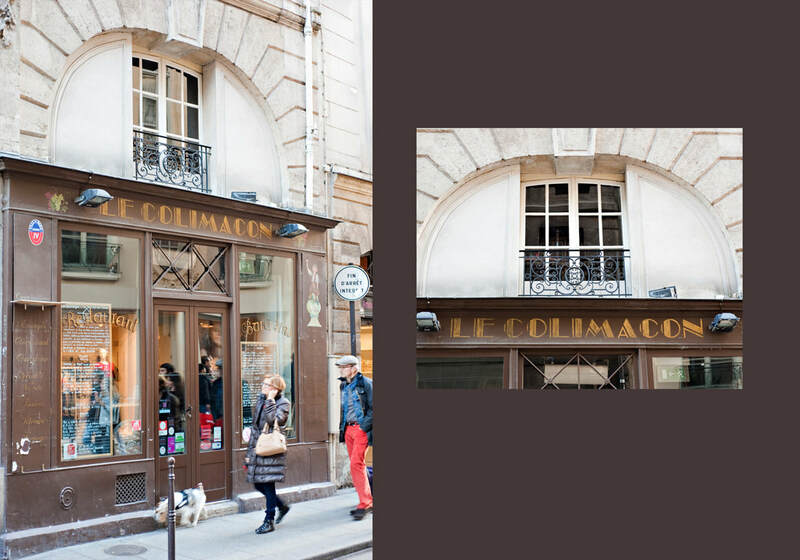 If you're in the Marais district, you MUST eat here. Holy Moly, so great! ​Our first morning was spent catching up on some much needed sleep. 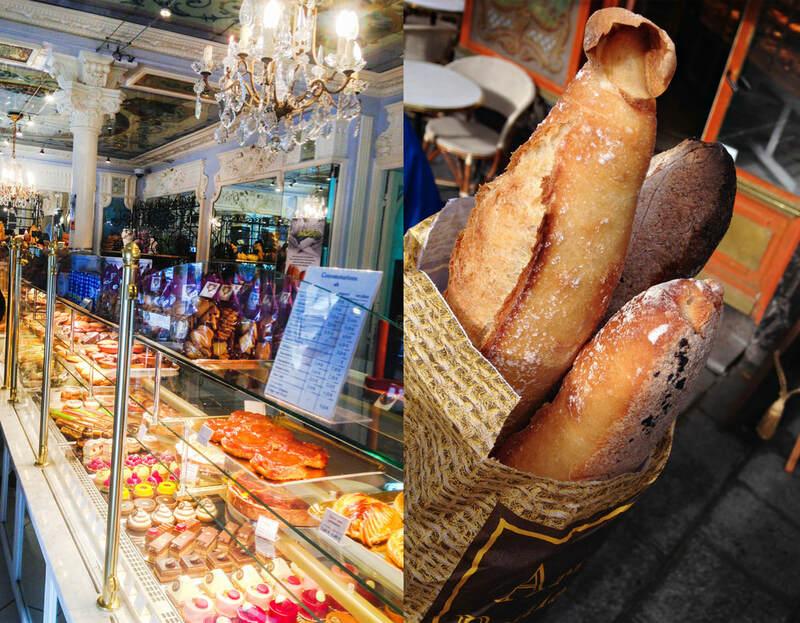 The boys woke up at 11 am and we decided to start the day off with going to Le Marche Bastille. 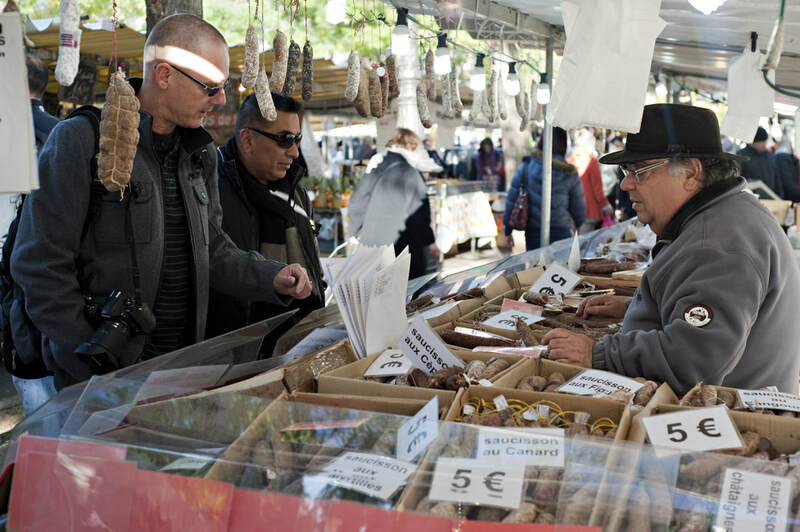 One of the most popular outdoor markets in the city. 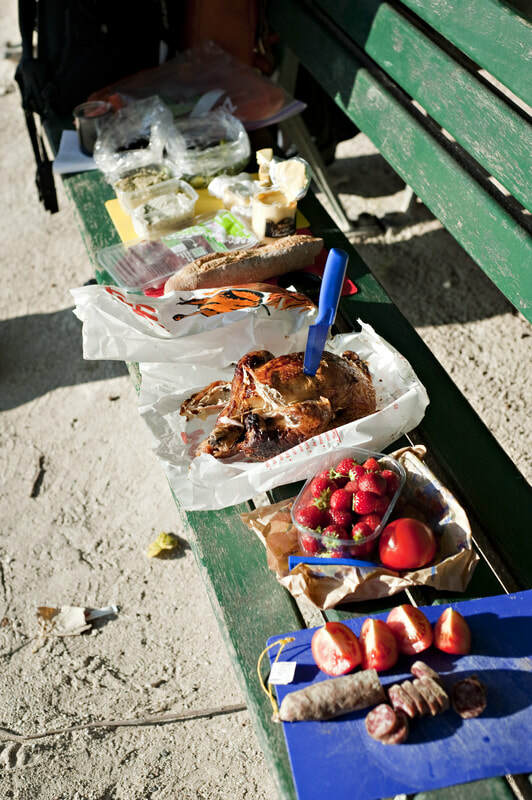 We bought goodies for a picnic we planned on having at an undecided destination. Milo finally got his roasted chicken and potatoes that he has been dreaming of for years and I got my tapenades and freshly baked bread. 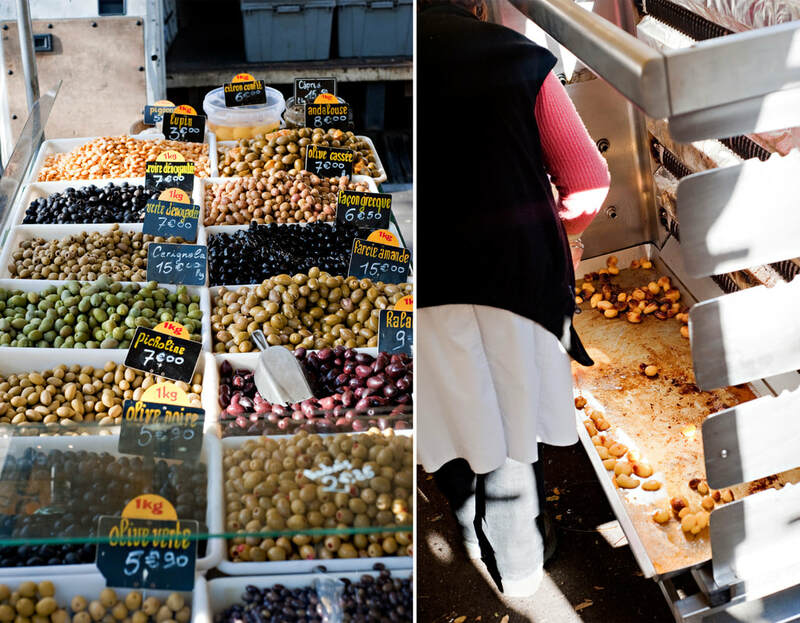 Food treasures and wine packed into our backpacks, we headed towards the Seine. 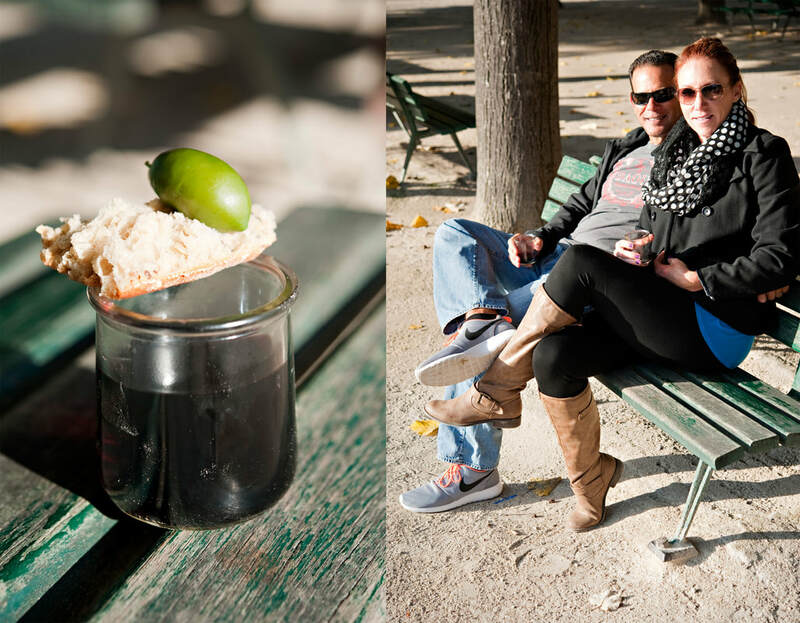 We decided the view from Square Jean XXIII (behind Notre Dame Cathedral) was going to be the perfect spot to drink wine from our yogurt jars and to tear into Milo's chicken. We had the first of many experiences of locals interacting with us and demonstrating the opposite of what most Americans believe the French to be, rude. We were enjoying our cheap wines when an older couple came up to us and "tisked" us with their fingers, pointing to our wines. They asked how we could be drinking Italian wines when we were in France? The wife opened up her sketchbook and wrote down the name of wines that they believed we would be much happier with while enjoying our picnics. The conversations ended with thumbs up and hugs. 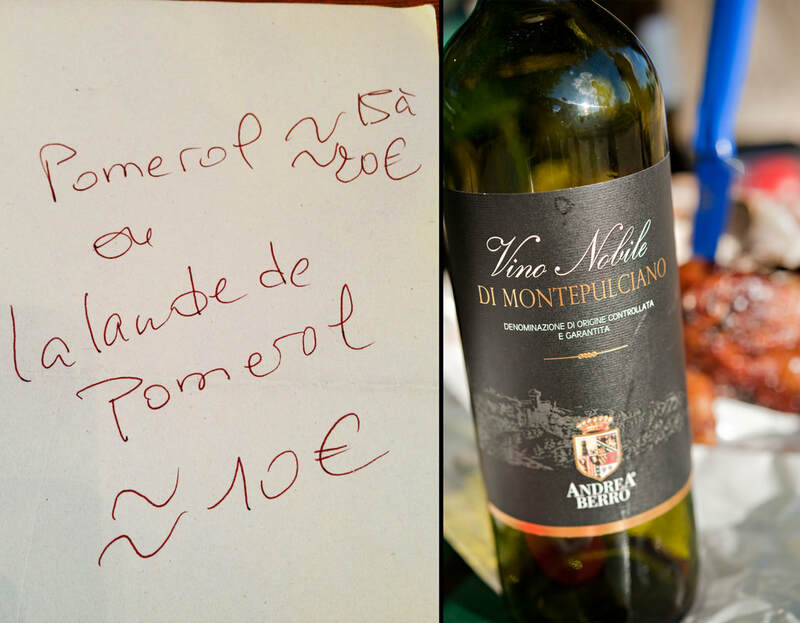 I still have the belief that you can't go wrong with a Vino Nobile Di Montepulciano but after our conversation with the sweet French couple, we were on a mission to find their recommendations. 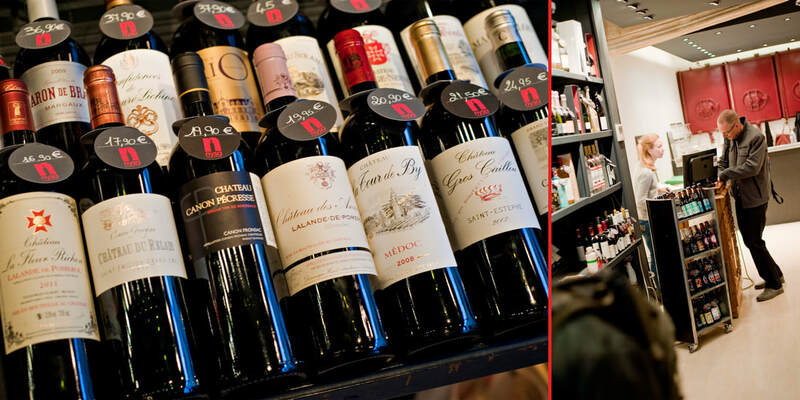 You can find fine wine shops around just about every corner in Paris and with the great french that Scott can speak, we were able to find our Pomerol. 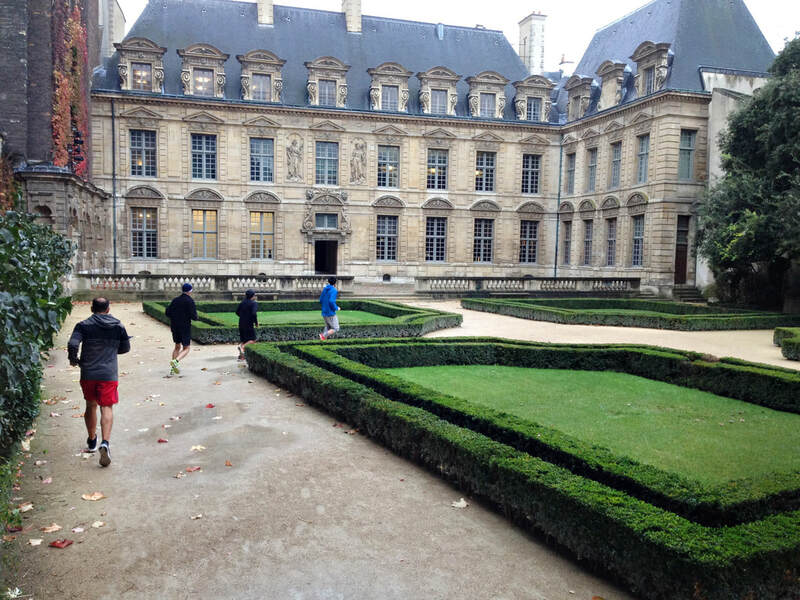 The rest of the afternoon was spent doing one of my favorite things in Paris, walking. No plans and no general direction to follow. 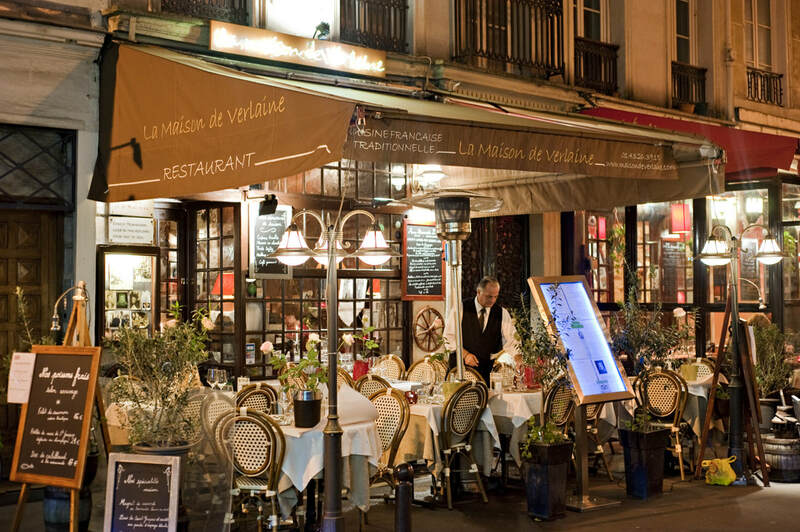 Our Second dinner was at La Maison de Verlaine. 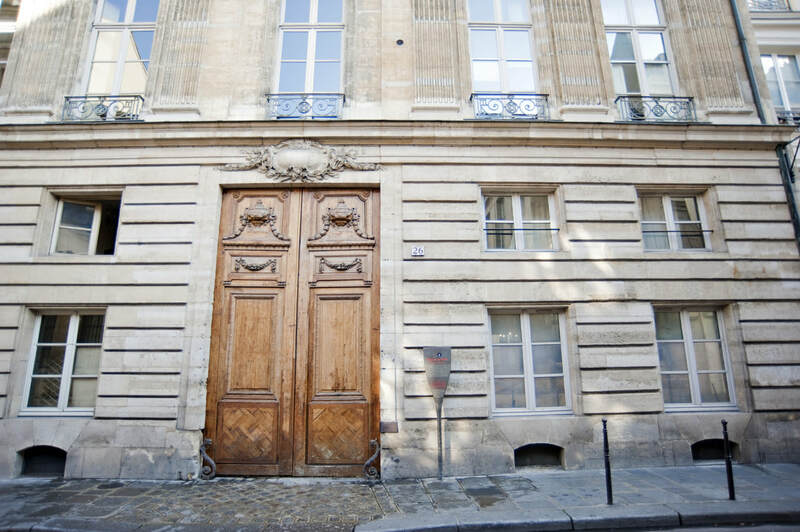 A historic house in the Latin Quarter where the famous French Poet, Paul Verlain, died and apparently Ernest Hemingway lived for a couple of years. Walking into such a beautiful restaurant with such an interesting history really makes you take in every detail of the room that you wouldn't normally do. I was thinking "Did Hemingway sit where I'm sitting now?" "Did Paul Verlain have a cocktail at that bar?" "Who's Paul Verlain?" 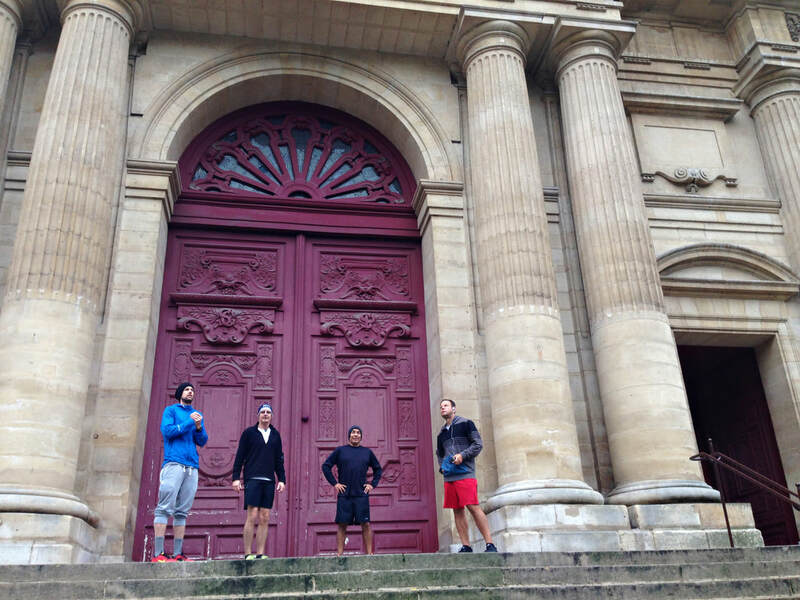 Now I'm not much of a runner but the most amazing run I ever did was here in Paris. Justin was our running history guide. Weaving us down historic back streets and popping into famous gardens and churches. Stopping every once in a while to draw our attention to something we would have just jogged past and never noticed had he not pointed it out to us. 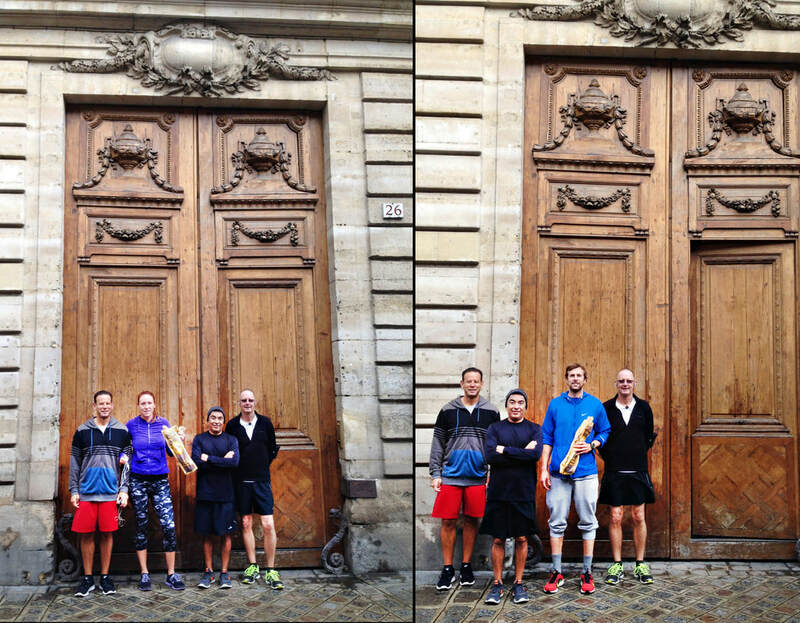 I was hugely impressed with his ability to retain so much fascinating history of France and even more, his ability to talk while running. I could have run through the streets all day with him. 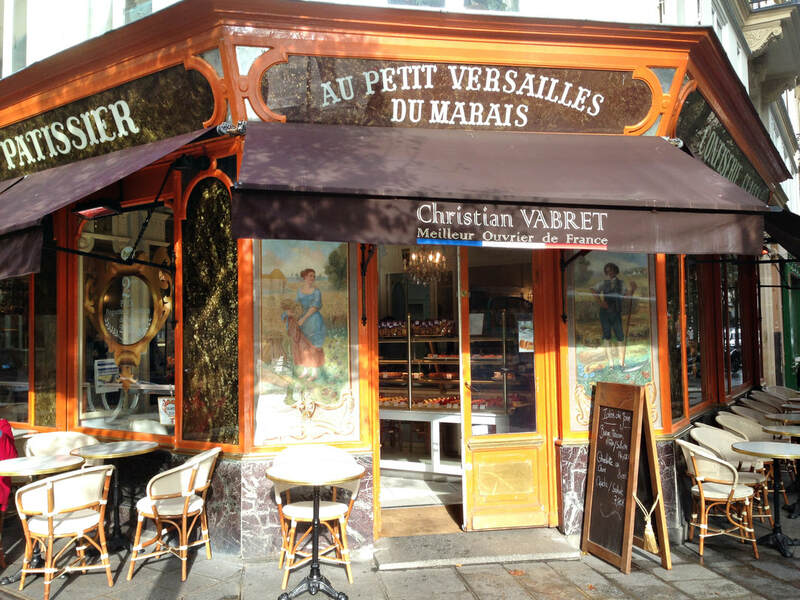 Another run-in with a "not rude" French person was while we were at this Boulangerie, Au Petit Versailles Du Marais. 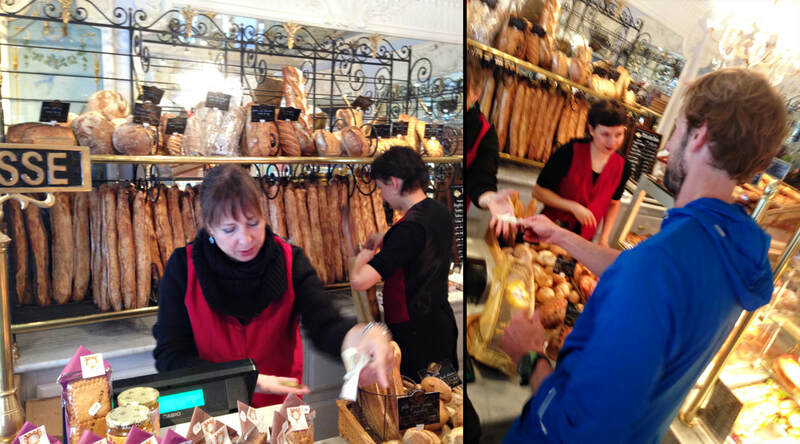 Justin was buying us what is supposed to be one of the best baguettes in Paris and didn't have enough money on him to buy us water. As we were walking down the street, the woman who was standing behind us in the store came running after us and had bought us water. Now I'm pretty sure that wouldn't happen here at home. 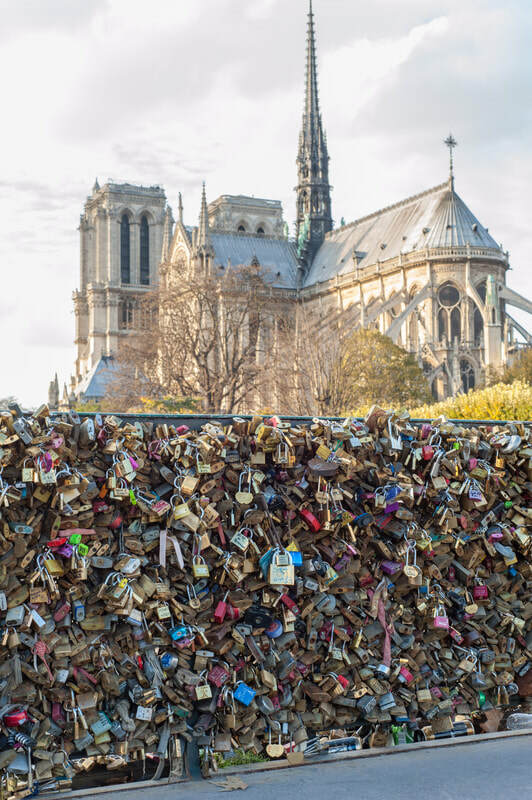 We had so many of these types of events while in Paris that it was the topic of quite a few of our conversations. The only rude people I've ever seen while being here, are I'm sorry to say, are ugly Americans! After our run, lunch was at L'as Du Falafel. This was my 4th time here. 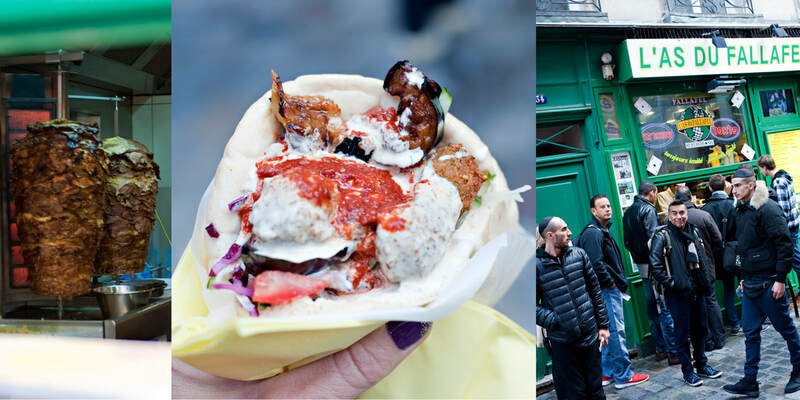 There are quite a few authentic Falafel joints in the neighborhood of The Marais, but I keep coming back here. It doesn't hurt that it was right around the corner from our apartment. It's very popular and very good. Get one to go! Often times there is a very long line. But always worth the wait. My absolute favorite evening was spent in the apartment that Justin and Casey are renting. 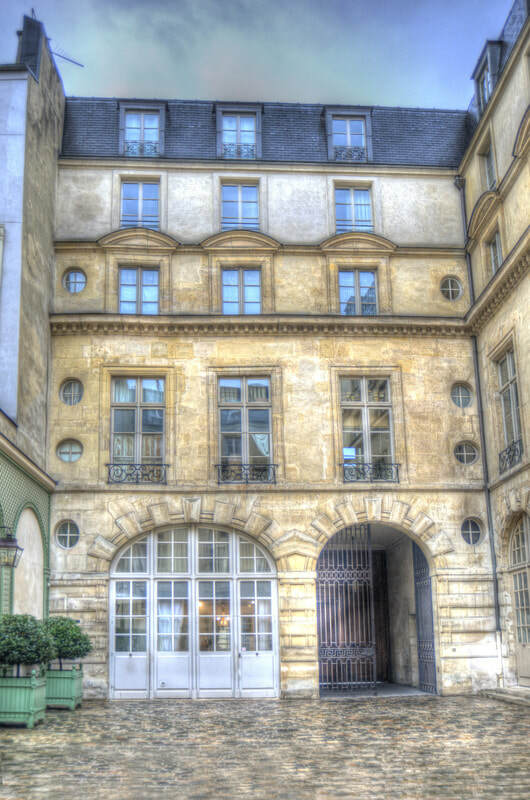 Up on the 6th floor of a beautiful classically French building with fantastic views from their balcony. Seriously? How could it get any better? I know, Oysters! 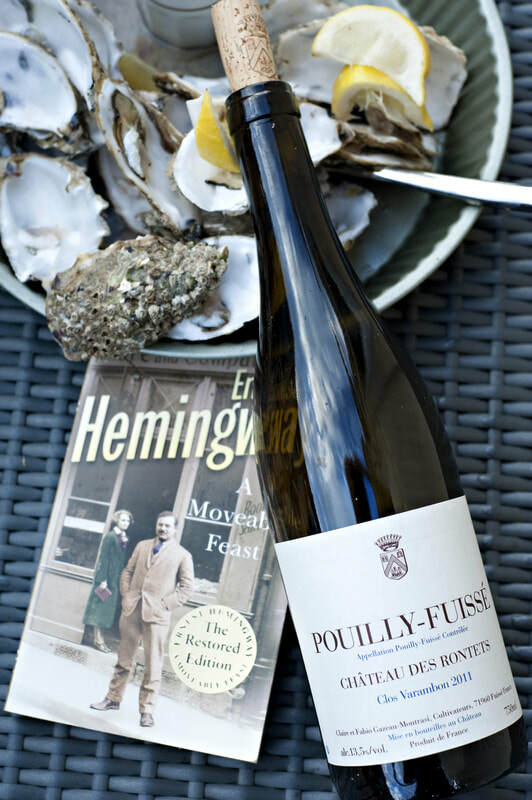 Justin went over the top by buying Fine de Claire Oysters where Hemingway bought them at the Marche Mouffetard as described in A Moveable Feast, shucking them himself and pairing it with a beautiful Pouilly Fuisse. I was silly with excitement and probably a bit annoying. 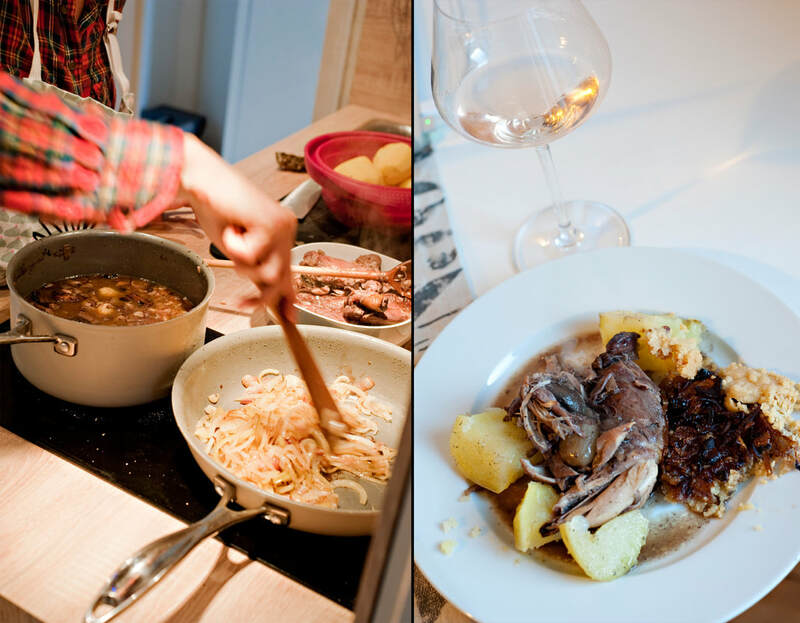 ​All the while, Casey was busy in the Kitchen whipping up a bit of Coq au Vin and an amazing onion tart. 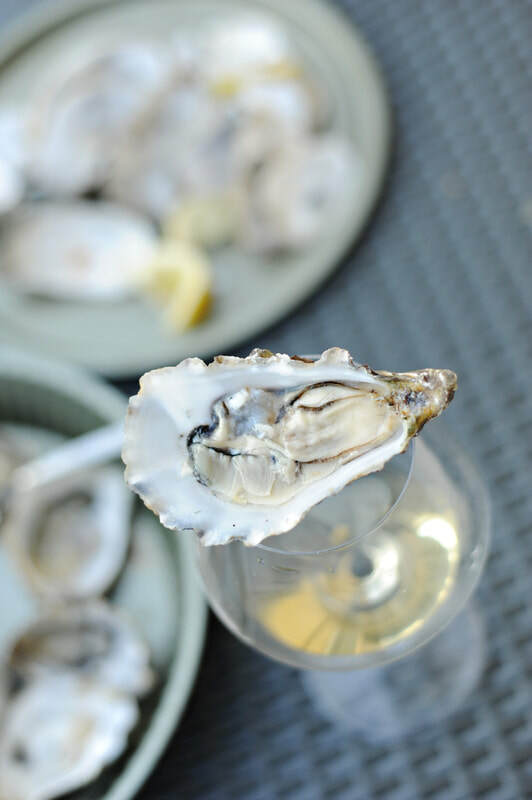 The morning following our oyster fest and an evening Fat Tire Bike Tour we got up early and headed out to Le Chateau Vaux Le Vicomte with Casey. Read about our day trip to Vaux Le Vicomte HERE. I know many people may think that the lunch and dinner cruises on the Seine may be a bit lame and touristy, but this was the second time I've done one and I have to say, it's quite fantastic and real a blast. We did the Bateaux-Mouches Cruise and it's well worth the money and the food was above our expectations. 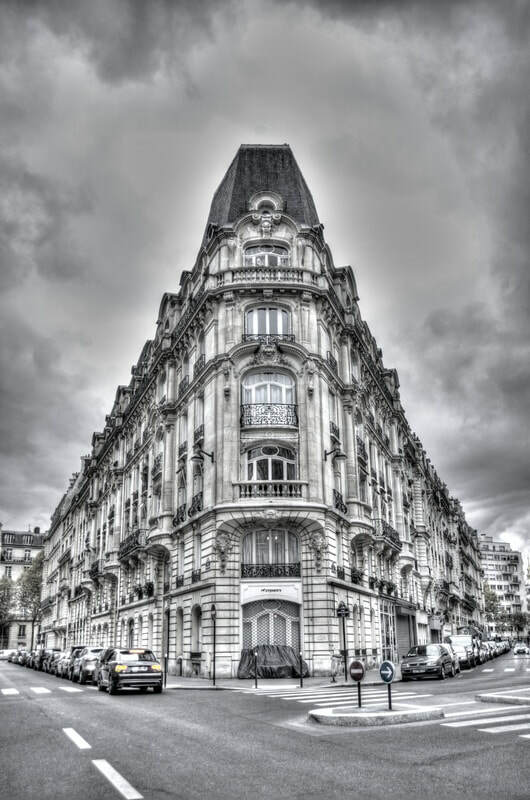 One of my favorite buildings on Rue Edmond Valentin. 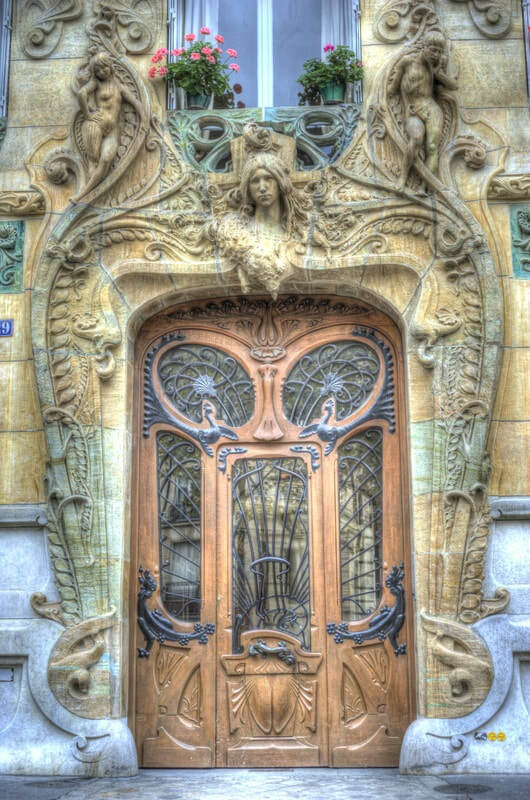 29 Avenue Rapp or better known as a piece of Art Nouveau by Jules Lavirotte. Can you see the bit of naughtiness in this door? 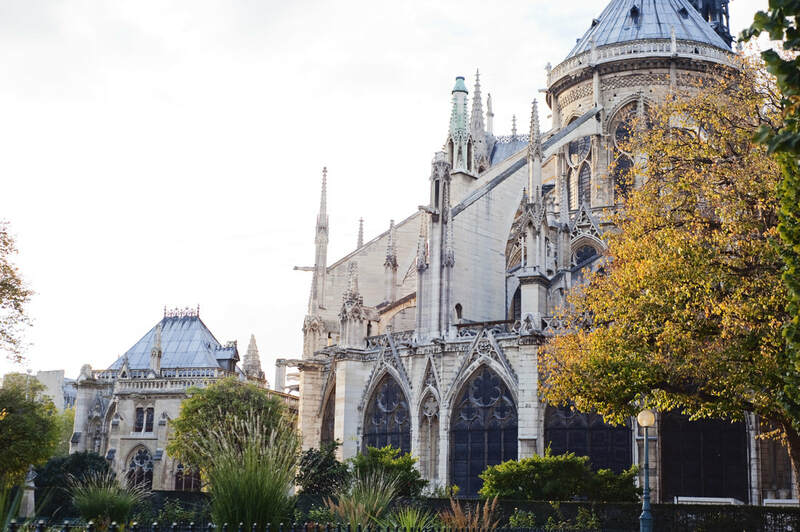 We took the 45-minute train ride from Paris to Reims or better known as the region of Champagne with high expectations that weren't really meet. It was probably my fault for not researching or planning enough. I had visions of walking through vineyards and roaming from one tasting room to the next. You just don't do that here. 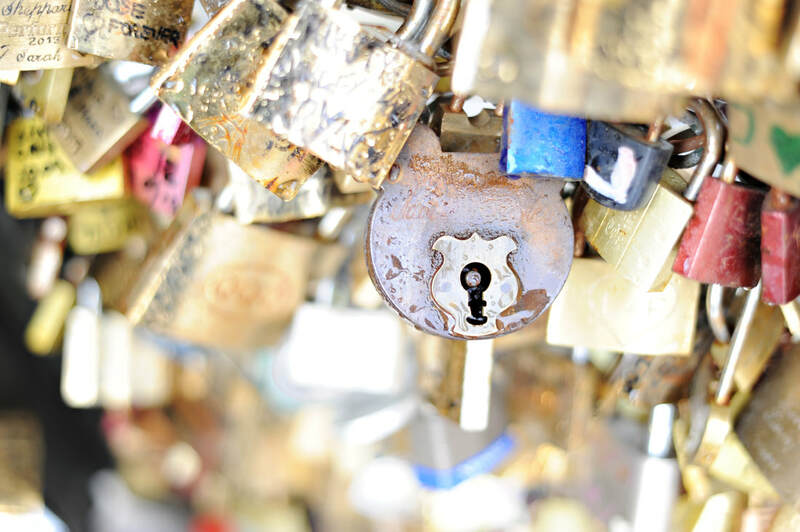 Reservations need to be made, English speaking tours need to be timed correctly and routes need to be thought out in advance to make the most of your time here. It didn't give us enough time to get a real appreciation of the town and all it has to offer. 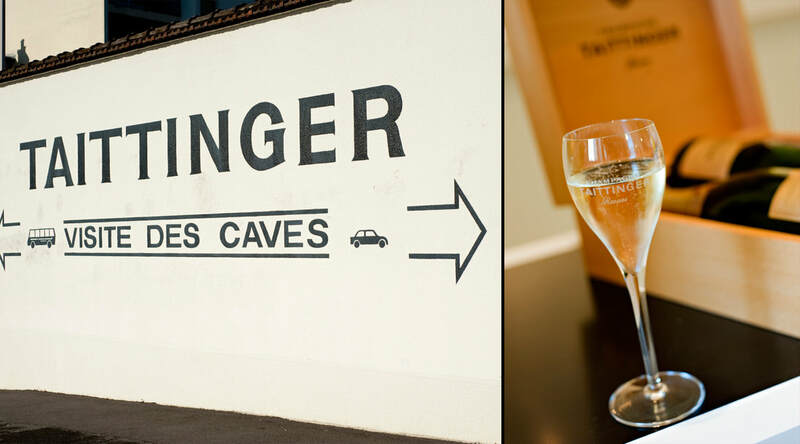 We were able to take a taxi from the train station over to Tattinger where they have impressive caves and a very sterile tasting room. 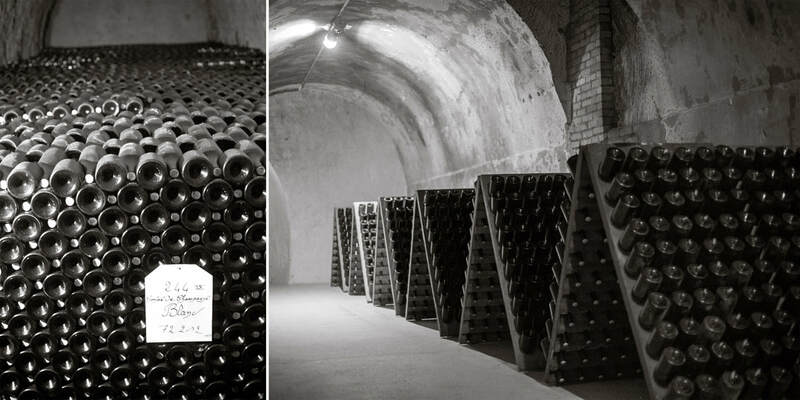 We opted to do the cave tour (Chalk Cellars) because of the amazing history associated with this house and paid for the very expensive tasting that would allow us to taste 3 of their champagnes. 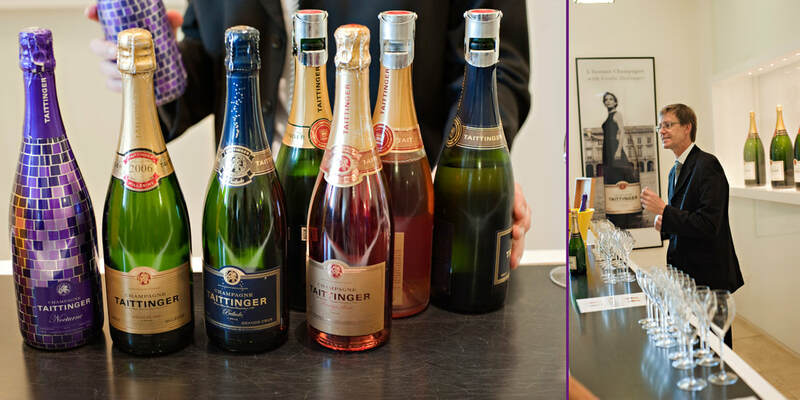 It was a great experience I just wish we had time to compare other Champagne houses to it. 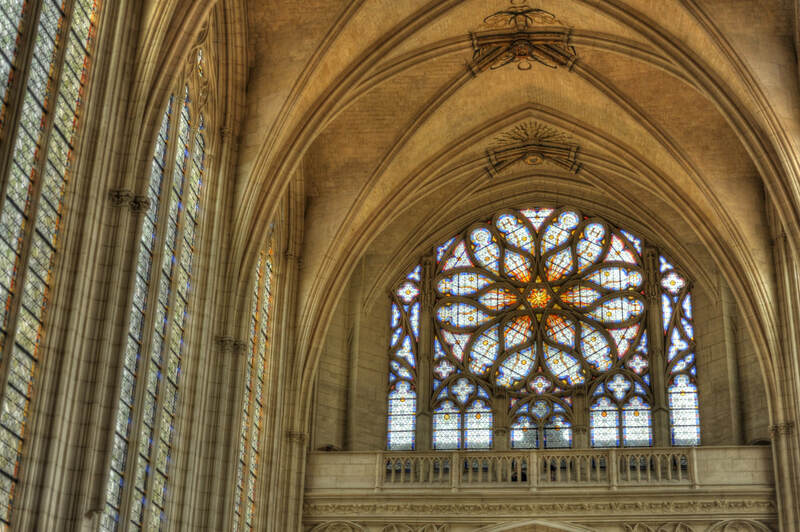 We did find time to visit the Notre-Dame Cathedral of Reims which has some mind blowing history that everyone should see while here. 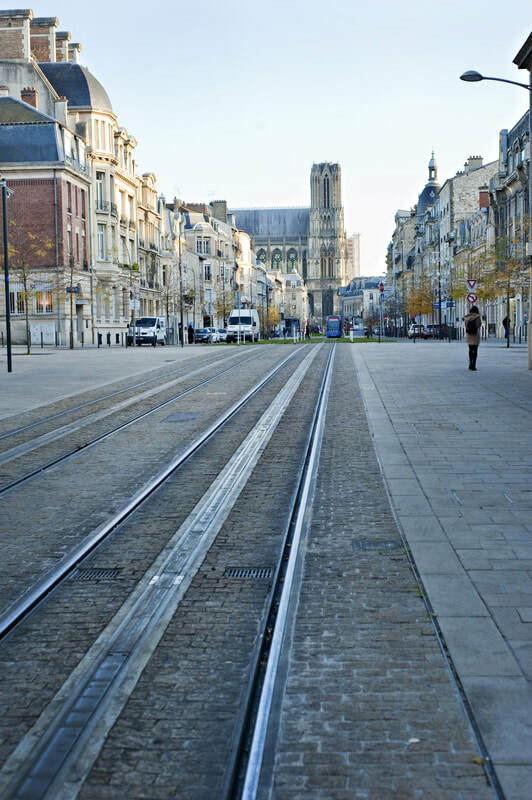 The town of Reims looked beautiful and quaint and an afternoon wasn't nearly enough time to explore and get lost. 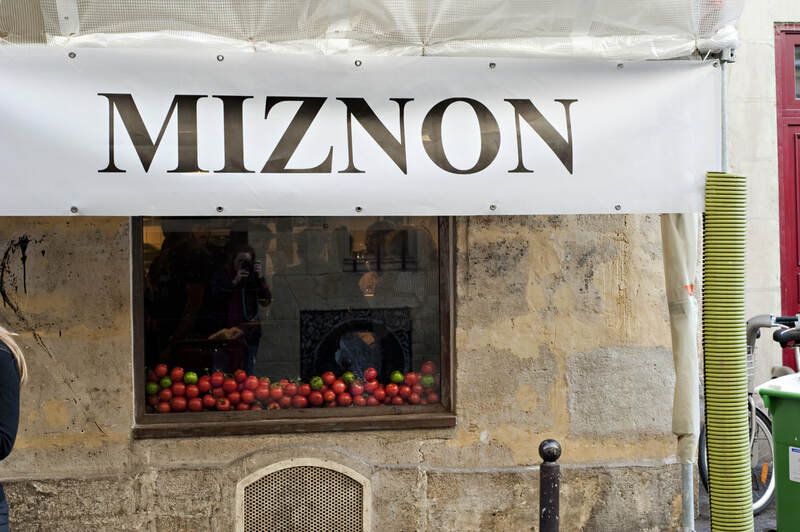 If you're into falafels and Pita Sandwiches, walk away from L'as Du Falafel and walk 50 feet down the street to 22 rue des Ecouffes where you will find Miznon. I'm not saying L'as Du Falafel isn't great, it is, it's well known and yes, a bit touristy, but Miznon has some fantastic combinations that are not found elsewhere. You will find freshly cooked minute steak with an optional egg, spiced fish, freshly marinated tuna, and hummus. 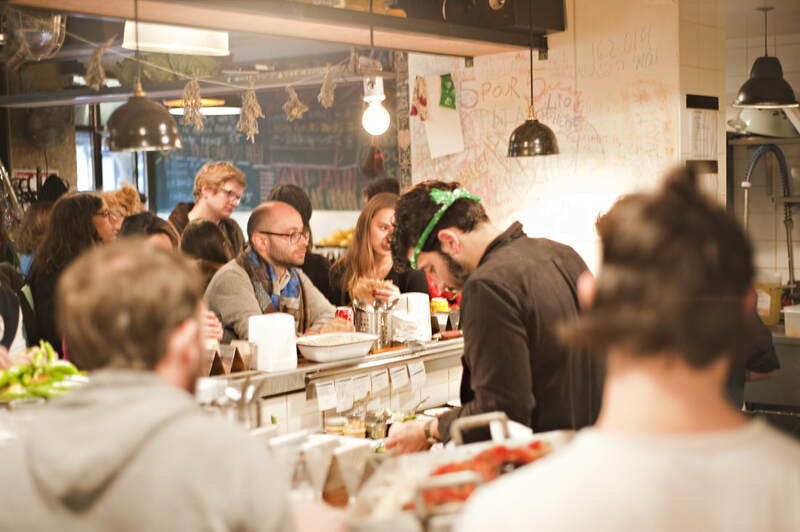 Don't be intimidated by the French menu written colorfully on a huge chalkboard. 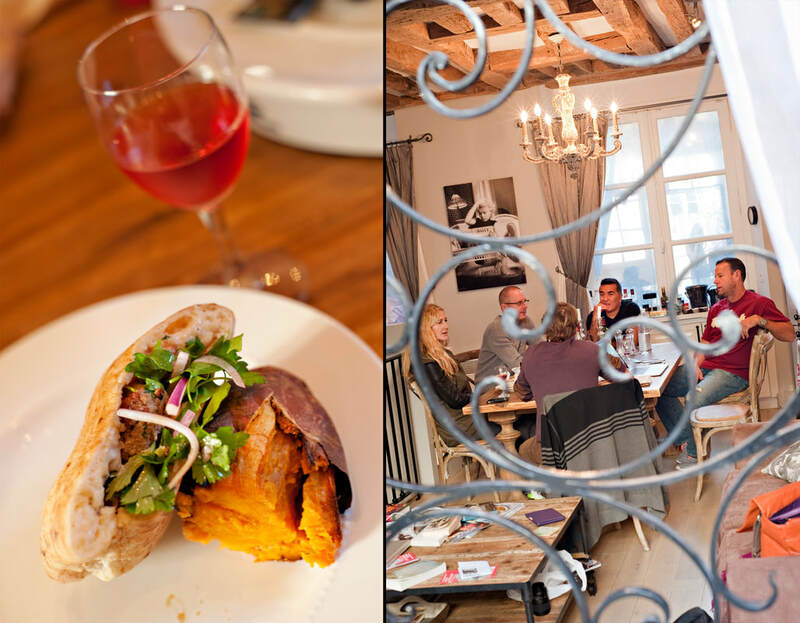 Do like we did, either bring a friend who speaks French or when that isn't an option, pull out your printed food translation folder that we never left the apartment without. Yes, we did sit in restaurants flipping through its pages, looking up French words and phrases so that we wouldn't miss something wonderful. We ordered ours to go because our apartment was just a 5 minute walk from Miznon. 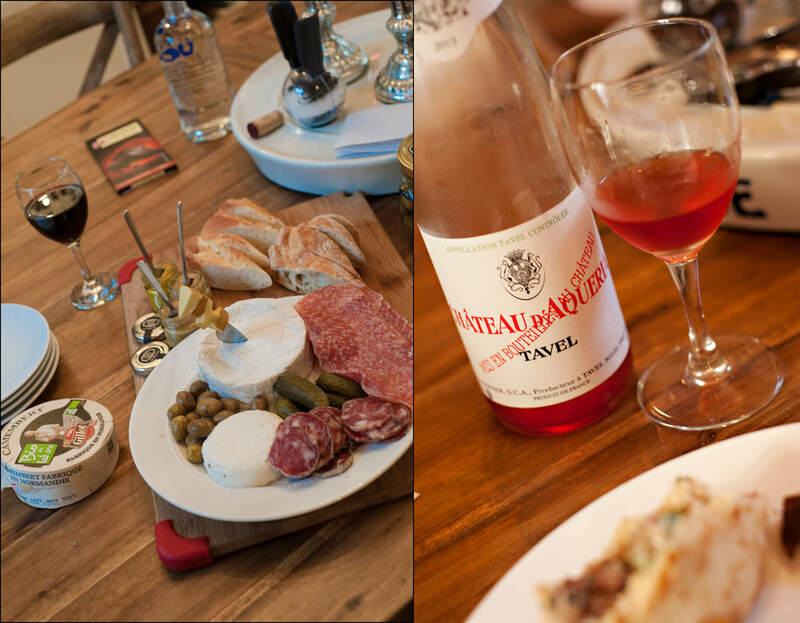 Plus, we wanted to have lunch in our beautiful dining room where we could sit and drink wine while we devoured our pitas. La Droguerie Creperie is on 46 Rue des Rosiers, also just down the street from where we were staying. 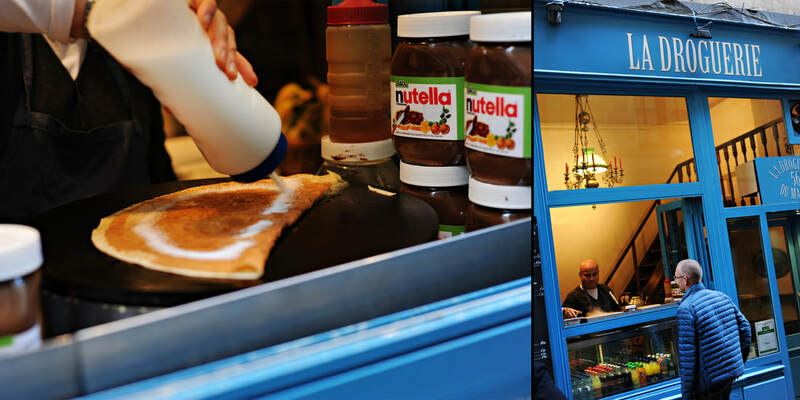 It's a beautiful and vibrant creperie that has recently opened. 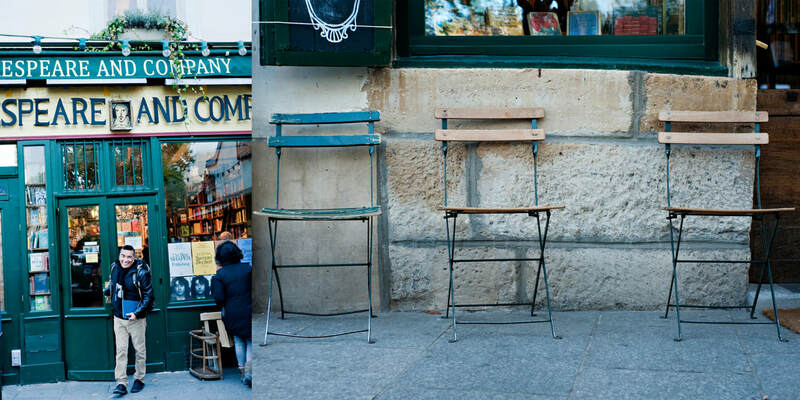 Just walk up to the window, order and walk down the street with your piping hot crepe. 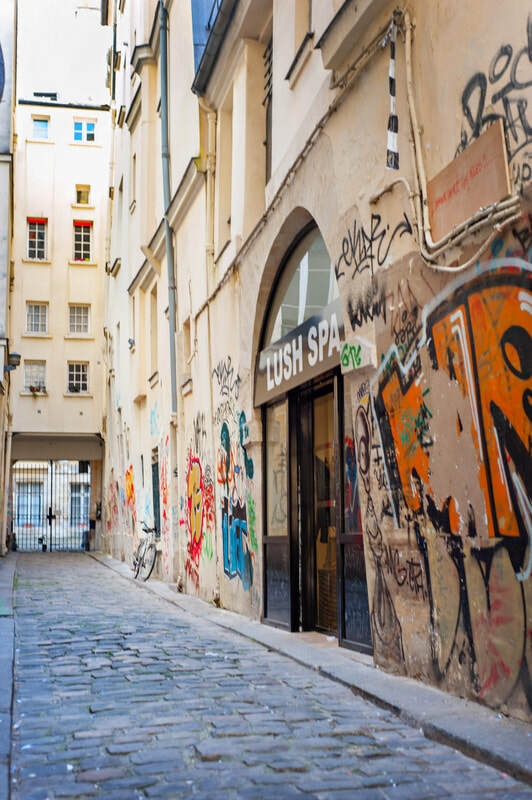 The rest of our trip was spent slowly strolling the streets of Paris without an agenda. Deciding at the last minute which way to turn and desperately trying to get lost. Oh, how I love getting lost.